I studied Chemistry at the University of Oxford, receiving a BA in 1987 and a D. Phil in 1990.I moved to A.T.&T. Bell Laboratories, Murray Hill, New Jersey where I was a Postdoctoral Member of Technical Staff. In 1992, I returned to Oxford as a Lecturer in Inorganic Chemistry and Student (Fellow) of Christ Church. 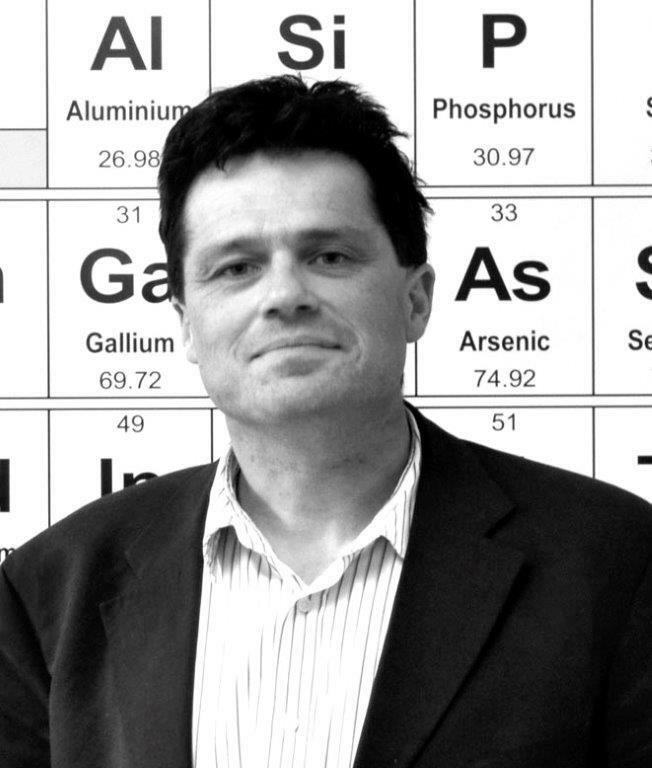 In 1999, I moved to the University of Liverpool as Professor of Inorganic Chemistry. I have been awarded the Harrison Memorial Prize (1991), Corday-Morgan Medal and Prize (2000) and Tilden Lectureship (2006) of the Royal Society of Chemistry (RSC). In 2009, I received the inaugural De Gennes Prize from the RSC — a lifetime achievement award in materials chemistry that is open internationally and is one of the RSC’s three premier awards. I was Distinguished Lecturer in Inorganic Chemistry, Northwestern University (2006), Zernike Lecturer, Rijksuniversitat Groningen (2009) and won the C.N.R. Rao Award of the Chemical Research Society of India in 2010. In 2017, I was Muetterties Lecturer at the University of California, Berkeley and the Lee Memorial Lecturer at the University of Chicago. I was elected to the Royal Society in 2008.I was awarded the Hughes Medal of the Royal Society in 2011 "for his influential discoveries in the synthetic chemistry of solid state electronic materials and novel microporous structures." In 2017, I was awarded the Davy Medal of the Royal Society “for his advances in the design and discovery of functional materials, integrating the development of new experimental and computational techniques.” I am currently a Royal Society Research Professor (since 2013). I work on the synthetic chemistry, design and discovery of solid state materials, which have applications ranging from catalysis to superconductivity. A current focus is the development of new methods of identifying functional materials, emphasising the integration of experiment with computational methods.